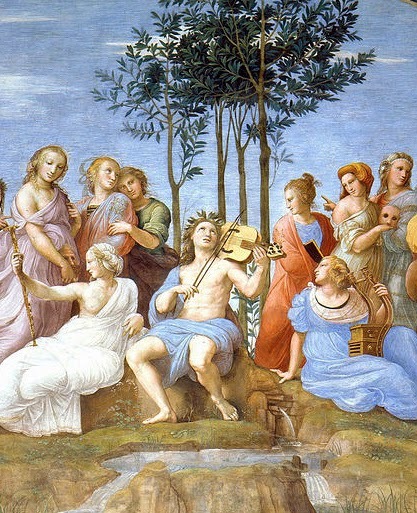 Apollo on Parnassus, (fresco detail). In the spring of 1612, Antonio Neri finished writing L’Arte Vetraria, and the Holy Office of the Inquisition approved it for publication. The Glassmaking book passed the Church’s censors despite it containing a large number of alchemy related methods. Contrary to what we might imagine, they did not have any problems with Neri’s work; in fact, one bureaucrat commented that the book was full of useful information. Remember, this was at the same time that so-called sorcerers and witches were being tortured and executed around Europe. One big difference in this case was intent, or rather the perceived intent of Neri's writing. Another factor was his personal connections. The truth is that alchemy was something of a fad among the wealthy nobility, who used the equipment for everything from making rosewater, to distilling liquor, to quietly trying their hand at transmutation. To form a better sense of the public image of the chemical arts in the early seventeenth century, we can turn to the satirical critic Traiano Boccalini, who published a book of his own the same year as Neri. Ragguagli di Parnaso [Reports from Parnassus] was an immediate hit. In fact, it became so popular that he and his sharp tongue were forced to leave Rome for the comparative safety of Venice soon after its completion, and soon after that friends found him dead under suspicious circumstances. Initially, Boccalini had been on good terms with Church officials, but perhaps he had seen a bit too much of the inner workings of the Church. Eventually, he became bitterly disillusioned and wrote Ragguagli as a collection of fictitious news-sheets. These were patterned after the letters that circulated widely as the forerunners of modern newspapers. His reports took place in the mythical state of “Parnassus,” which struck an uncanny resemblance to contemporary Rome. Its monarch, Apollo, struck an uncanny resemblance to the pope, as the princes of Parnassus did to cardinals, bishops and curia officials. Report LXXXIX is illustrative of what were the more practical fears over alchemy, in this case, some creative wealth building among the clergy. It gives a sense of alchemy’s public persona. Apparently, in real life, there was a crackdown by the Church on chemical apparatus, under the guise of concern for public health. Our author slyly suggests, in the very last line, that it may have had more to do with putting an end to clergy lining their own pockets. In the past few months here, various ailments have emerged in this state of Parnassus, which have caused in some an extraordinary fatigue with frequent agitation: in many a tenacious fever, a faint pulse and a monstrous appetite: in others an intense stomach ache with an ardent thirst. The doctors cannot find a single remedy. However, the true cause of these maladies, by decree of Apollo, was revealed before a recent meeting of the grand Asclepius [Society] of prominent Greek, Latin and Arabic doctors, where it was the subject of long and erudite debate. Because neither the enemies of the grand princes nor other eminent gentlemen were spared, it was doubted whether the sickness was caused artificially by powerful poisons. Furthermore, it is clear these troubles were not only happening nearby. And we see several modern princes put great study in their most excellent facilities to prepare in their alembics things other than rose water. They conceal subjects dangerous and heinous with their hidden machinations of poison. This cannot be allowed to be covered up; such a scandal must be exposed with the violence of a dagger. His Majesty, concurring with the opinion of the congregation, yesterday morning made a public speech, to issue a strict edict, which forbids princes of any color, from ever keeping distillation or alembic operations at home or outside. However, he allowed similar exercises in the hands of experimenters and herbalists. A thing being extremely foul is the minting of counterfeit money in the night and then by day covering so treacherous a crime by running shops openly making medals for the crown. 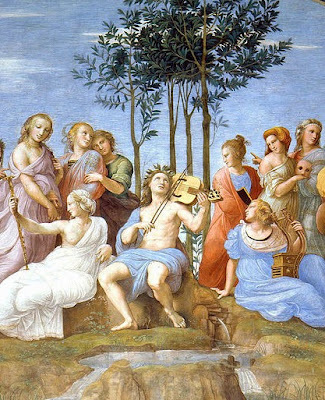 In this piece, Boccalini crystallizes the complex social stigma carried by alchemy. Of all the practical tasks that could be performed in this art, the most notoriety by far was derived from the concept of turning base metals into gold. In his writing Neri openly expressed his fear that true transmutation, in the hands of the masses was likely to collapse the economy. The Vatican’s concerns were more immediate: financial gluttony within the Church. Anyone with enough alchemical knowledge could produce convincing counterfeit money. Turning lead into gold was a theoretical issue; dealing with rogue counterfeiters was a real and immediate one. *This post first appeared here on 8 August 2014.